Snares are cruel, primitive and indiscriminate traps that are widely used across Scotland mostly to protect gamebirds from fox predation to benefit the shooting industry. A snare is a simple anchored noose which is positioned on an animal track where an animal will walk into it and become trapped by the neck, abdomen or leg. In 2011, we launched our website SnareWatch, a snare information-sharing and reporting facility and we have been shocked by the number of reports highlighting the scale of snaring in the UK. 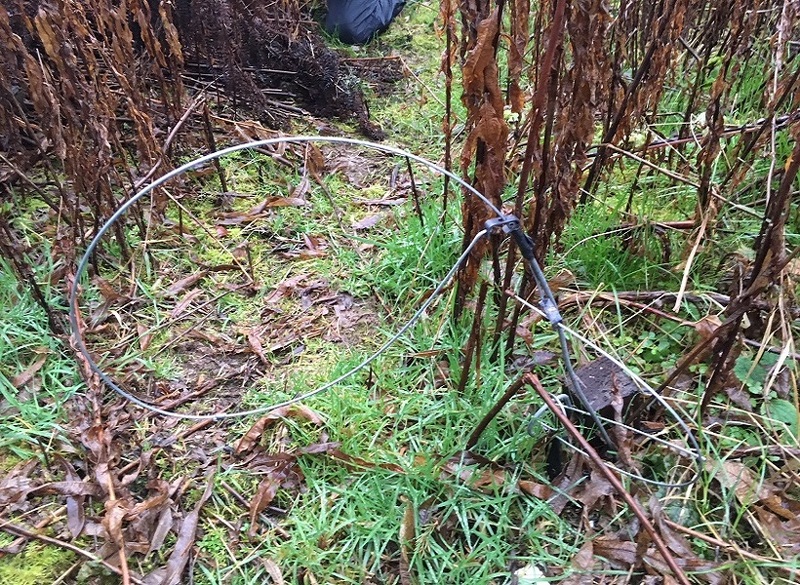 While snares might be set for foxes, we’ve had lots of reports of other wild animals and also family pets, which have been injured and even killed by these traps. 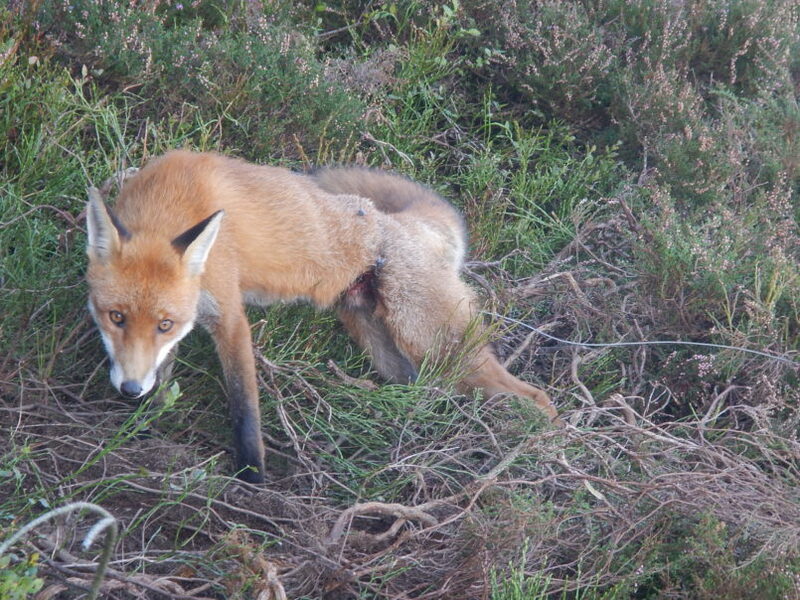 Snares may be set to catch foxes, but they will also catch, maim and kill a wide range of non-target species. Our reports have shown animals including badgers, deer, birds, hares, otters, as well as family pets like cats and dogs being caught and even killed in snares. Just read this tragic story of a Cocker Spaniel called Murphy who was killed in a snare last year. Snares do not discriminate between the individuals within a target species so often they will capture foxes and other animals that are lactating, pregnant or juveniles. 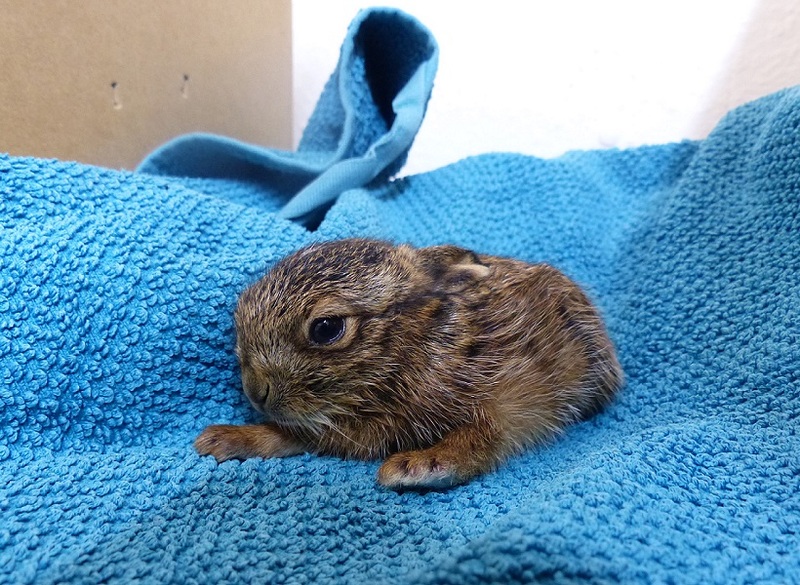 This brown hare leveret was born while her mother was trapped in an illegal (untagged) snare in Ayrshire. The mother had already died when the hare was rescued. The baby was taken to Hessilhead Wildlife Rescue, however despite expert care, she also died. The UK populations of three main target species for which snares are generally used – red fox, rabbit and brown hare – are all in decline. In addition, the widespread trapping of native wildlife damages Scotland’s reputation as an ecotourism destination. Many conservation organisations including Scottish Natural Heritage who manage land in Scotland do not use snares. Snares have long been known to inflict extreme physical and mental suffering on the animals they capture with many sentient wild and domesticated animals subjected to prolonged suffering and often a slow agonising death. On sites where animals have been caught in a snare there are often signs of disturbance to the to the surrounding ground and vegetation known as a “doughnut” where animals will try to run or scramble their way out of the snare. This can often lead to the snare moving (like in the image above) so instead of holding the animal round its neck, it can end up cutting the animal’s abdomen. Other animals will attempt to gnaw through the wire which causes painful damage to the teeth and jaw. The law in Scotland is stronger than the rest of the UK, yet despite this, it still offers Scotland’s animals very little in the way of protection. In the UK, snares must be free-running to reduce the risk of snare wire causing flesh wounds and snares must be checked every 24 hours. In Scotland, there are additional requirements, such as ensuring snares are fitted with a ‘stop’ to prevent animals from being strangled. 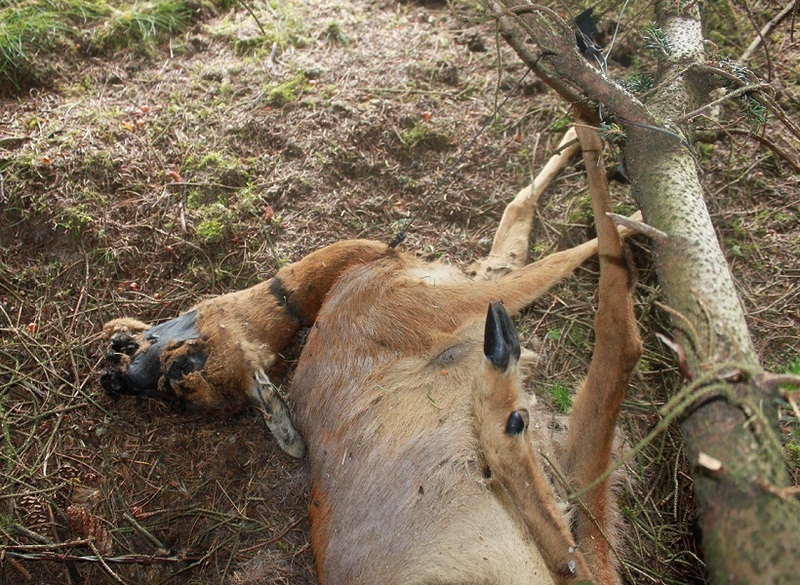 Operators must also complete a training course by a rural college or shooting industry body to receive an ID number from Police Scotland, which must be present on all their snares. This requirement can aid enforcement but does nothing to protect animals from the inherent welfare problems of snares. Here’s how you can help the campaign. Join OneKind with a monthly donation– we’re a small charity so every new member we have means we can expand our work on issues like this one. Seriously, every member really helps us. Thank you! Please make these cruel snare illegal. People aren’t responsible enough to use them to minimise suffering so they need to be banned. Polecats, Pine Martens and Scottish Wild Cats are protected species due to uncompromising persecution. Today these animals may still be indescriminately killed by snares..